The International Education Office organizes programs, events and activities for the Santa Fe College community that develop intercultural competencies, cultural self-awareness, critical thinking about international issues, and an appreciation for the interconnectedness of people and cultures throughout the world. The Coordinator, International Education provides leadership for the college’s study abroad programs and ongoing international education initiatives. This position is responsible for promoting study abroad programs, recruiting and advising student participants, managing study abroad enrollment and finances, coordinating activities with faculty, managing risk associated with international travel, and other related duties. The Coordinator, International Education periodically assists with hosting international visitors, advising students enrolled in the International Studies Certificate, and supporting other international activities as necessary. Therefore, the Coordinator must have well-developed intercultural competencies. The Coordinator, International Education will be required to travel a few times a year in order to represent Santa Fe College at state, national and/or international conferences. •	Manage study abroad applications, including forms, disclosing financial need, special accommodations, and other sensitive information. •	Monitor and oversee study abroad financial accounts, ensuring required payments have been made. •	Remind students of pending financial and other obligations related to study abroad programs. •	Assist with the review of study abroad scholarship applications and the disbursement of funds. •	Serve as a liaison between study abroad faculty leaders and third party providers. •	Administer pre-departure orientations, which include a review of risk and safety issues, the student code of conduct, student rights and responsibilities, and program learning outcomes. REQUIRED QUALIFICATIONS: A Bachelor’s degree in a relevant field with two years of related work experience is required. PREFERRED QUALIFICATIONS: An understanding of best practices in study abroad, as well as familiarity with professional organizations such as the Association of International Educators (NAFSA) are preferred. The ideal candidate will possess a strong commitment to diversity, be comfortable with innovative and entrepreneurial program planning and development; have experience living, working and/or studying abroad; experience working with faculty leading study abroad trips; and working with international visitors. Knowledge of a foreign language is preferred. •	Independent work - able to work independently with limited supervision and able to self motivate. •	Detail Oriented - Proven accuracy and attention to detail. APPLICATION PROCESS: All applicants must create an Applicant Profile to complete the SF Employment Application, submit a letter of intent, an up-to-date resume, well as college transcripts to be considered for this position. College transcripts are required for any college coursework. If you do not have college coursework, proof of high school completion or equivalent must be uploaded as unofficial transcripts. Unofficial transcripts are only accepted for review purposes, official transcripts are required prior to any offer of employment being made. 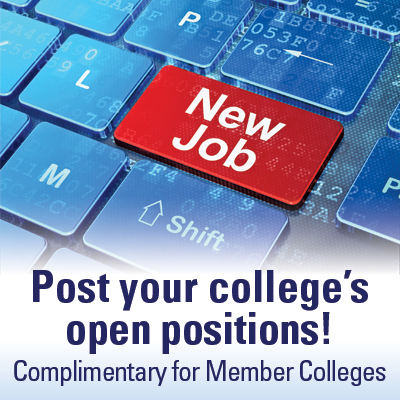 Santa Fe College reserves the right to extend deadlines and/or not to offer advertised positions. Preference will be given to eligible veterans and spouses of veterans.